USAF to conduct training with UK and France at RAF Lakenheath. 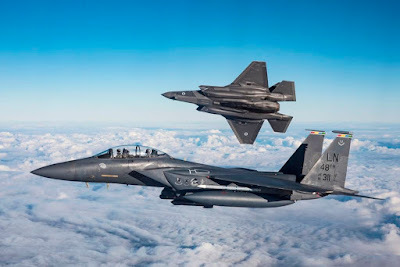 U.S. Air Force F-15E Strike Eagles from the 48th Fighter Wing, RAF Lakenheath, England, will train with United Kingdom F-35B and Typhoon aircraft as well as French Rafales for exercise Point Blank at RAF Lakenheath this week. 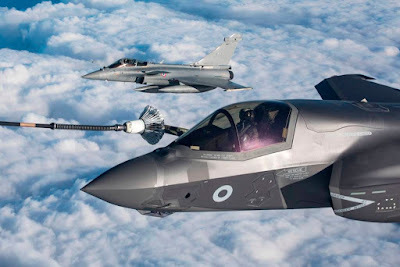 In addition, KC-135 Stratotanker aircraft assigned to the 100th Air Refueling Wing, RAF Mildenhall, England, and a U.K. Voyager from RAF Brize Norton will provide aerial refueling support. A variety of other U.S. and RAF aircraft based in the UK also support the exercise. The exercise draws its title from Operation POINTBLANK, the code name for the primary portion of the Allied Combined Bomber Offensive in World War II. 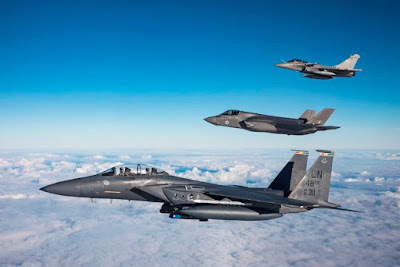 POINTBLANK builds on lessons learned from Exercise RAZOR TALON, a similar LFE initiative operated out of Seymour Johnson AFB in North Carolina. The objective for this iteration is to enhance interoperability and integration between allied fourth and fifth-generation fighter aircraft. Since 2016, the U.S. and U.K. allies have planned and executed 20 POINTBLANK exercises with more than 400 participating aircraft.